Any idea why watch this game will only watch if I enter the game numbers individually. If I try to click the "Watch game", nothing happens. Just started. I noticed when I issued a bunch of games and as I usually do, I immediately watch them to check sign ins. It wouldn't allow me to add them to the list. Silly Knig-it wrote: Any idea why watch this game will only watch if I enter the game numbers individually. If I try to click the "Watch game", nothing happens. Yeah, this started happening yesterday, I think. Clicking the 'watch game' link doesn't add it to my list. When I click the link, it switches to 'watching game' ... but when I go to my list it isn't there. i'm having the same troubles here. Dako, any chance you could address this? Must be at least one other thread somewhere. I agree that both those work, but it's very time consuming to individually copy/paste for tournaments and clan games when there may be 50-100 games to add at a time, possibly more. i have made a fix. just wondering how to put it up now. if i should put it on my userscript och conquerclubs script. Thank you, thank you for the fix. Hello everyone. New version has been released with some fixes and new features. I love this tool, but still does not work correctly with Chrome. Before you drop and after every move you have to hit refresh for the troop drop downs to work properly. morleyjoe wrote: I love this tool, but still does not work correctly with Chrome. 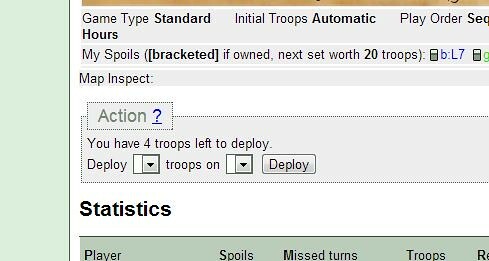 Before you drop and after every move you have to hit refresh for the troop drop downs to work properly. What other addons are you using (and their versions)? Do you use panel interface or not? @dako. i just tried without the panel interface. but it still dont work on chrome. do you use tampermonkey? I've been using Tapermonkey, and it does not work. I use Bob, Private Message Team, and Map Rank GL in Tapermonkey (Map Rank GL does not work - have to switch to firefox for that) and ConquerTell4 as an extension. I will see why it doesn't work in Tampermonkey. Anyone having any issues today? Mine is just hanging and never showing the games. Just keeps processing. Just started today. kuma32478 wrote: Anyone having any issues today? Mine is just hanging and never showing the games. Just keeps processing. Just started today. the first time i clicked, it hung up. so i clicked again and it showed the games, but not the player names. only their number. this is what it does everytime now. now i just went and tried again. and everything seems to be fine. Is it possible to watch too many games? It says I'm watching 249, but 10 games for my war against TOFU aren't showing up. I went and "unwatched" them and it then says I'm watching 239 games. Then I went back and "watched" them and it says 249, but they aren't physically in the list. im not to familiar with this script. and i cant really test. what would be best would to only have them and see if they show up. or if you add 10 more if they show up. i'm still having issues with the games not loading all the time. it's kind of aggravating, but i guess i can't say much because i have nothing invested in this fine script. 1.a message that indicates the games are loading that never actually gets loaded. 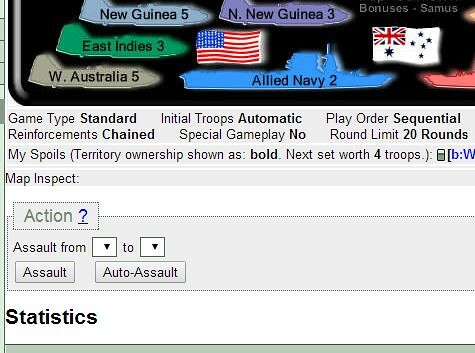 3.the name comes up but the image for the map is not there. i would say the most frequent of all is #1 and the next most frequent being #2. while #3 and #4 is kind of a treat to get.